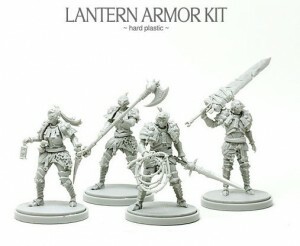 Pretty much every gamer out there knows of Kingdom Death. The original Kickstarter campaign made over $2mil. But then... oh the troubles. It was one of the campaigns that took the longest to actually deliver. However, from all I've seen, it was worth the wait... and worth the weight, since the final game's components made it so heavy that selling it retail wasn't really an option. Well, the game is back up on Kickstarter with a new, revised version, and a new record-breaking Kickstarter. Well, it's a day that many of us never thought would come. But it's finally here. 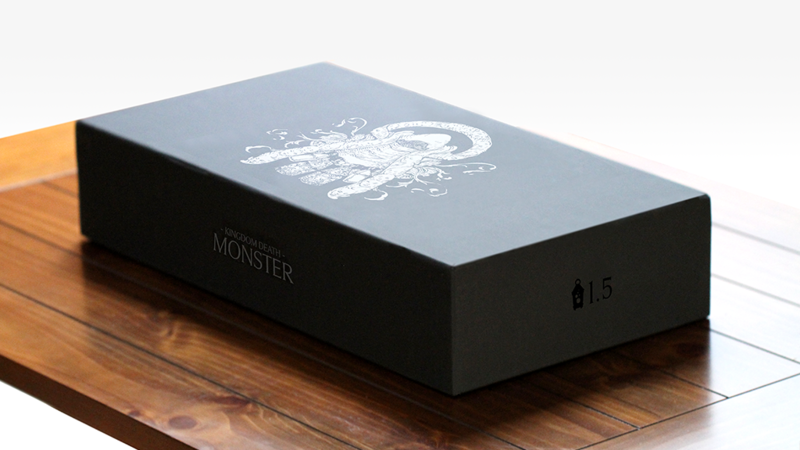 Kingdom Death: Monster is about to ship from the manufacturer in China and make its way across to distribution centers and start heading out to backers. And in addition to backers, they are taking pre-orders as well. So if you want to get your set at ~33% off, you'll want to jump in on the pre-order, but you'll have to hurry. You only have a couple days. 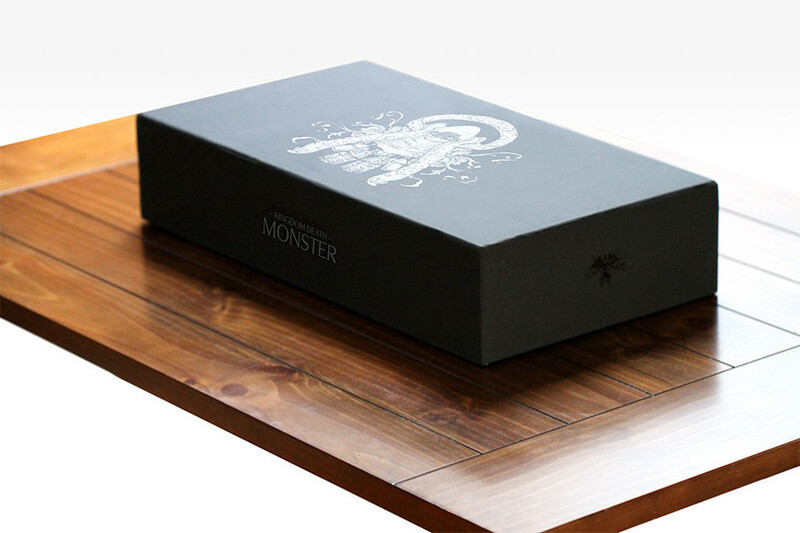 Kingdom Death posted an update about how things are moving along with Monster, their board game that's been in production for quite some time. The first bit is that fulfillment hasn't started yet. However, they are moving forward with things and have a schedule for the core games being printed. The first set of games should be done around the end of May. Plastic piece creation has been completed and the pieces have been sent to the company that will be packaging the game. They also posted up a small preview shot of the Gorm sprue from the game. Kingdom Death lets us know how things are going on Monster. Though the title says much of it, "This project is not finished yet." Note: Being Kingdom Death, of course there are some elements that may not be safest to view at most places of employment. The amount of effort that has gone into each and every miniature is akin to squeezing a diamond from a lump of coal. Metaphorically speaking, I’m covered in soot, my finger nails are cracked and I’m coughing up black chunks. I’ve been busy, more busy then I’ve ever been in my life, trying with every ounce of myself to keep the plastic production on track. It has been a huge challenge and has required more of my attention than I anticipated. When I tried to step back, I had to balance it against more lost time or worse yet, a loss of quality and thus, I’ve just had to keep my nose to the grindstone. I could not step away from the tasks at hand and thus, could not get this update out any sooner. Between preparing it and getting my brain ready to respond to the follow up messages, I decided to finish the time sensitive stuff, and then return to the public surface. And well... here I am! Kingdom Death posted up a pretty huge update on their Kickstarter page for their Monster game. It includes info about all aspects of the production and how it's moving along, plus a lot of preview photos. We are still aiming to hit our target date to begin shipping rewards in november. At this time the manufacturing partners involved have made it their priority to meet our very aggressive timeline. Things will be close as time is tight. As we work as hard as possible, If I feel the quality of the game or its components will suffer in any way, I will let you know and we can decide if we should delay it or not. While I feel that maintaing our timeline is of the utmost importance, Anna has reminded me several times that actually you, the backers, are the most important and that no one wants anything to be rushed.